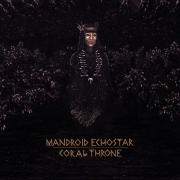 In May, Mandroid Echostar will embark on a U.S. & Canadian tour with 'Auras' &' Native Construct'. Distort label mates Mandroid Echostar and AURAS have teamed up with Native Construct to conquer Canada and the US with a massive tour. Find select tickets below, and RSVP on Bandsintown. Comeback Kid join The Story So Far and Culture Abuse on their April tour through nine Canadian cities. Everyone please taken a second to wish @jocelynnrennie of team distort a happy birthday. Her parents finally got her a pony.